Marketing designed with multi-site clinics in mind. Find new patients and keep them coming back. The reputation of your enterprise clinic is crucial to success. Eighty-eight percent of patients say they trust online reviews. So start using your strongest patient relationships to build new ones. 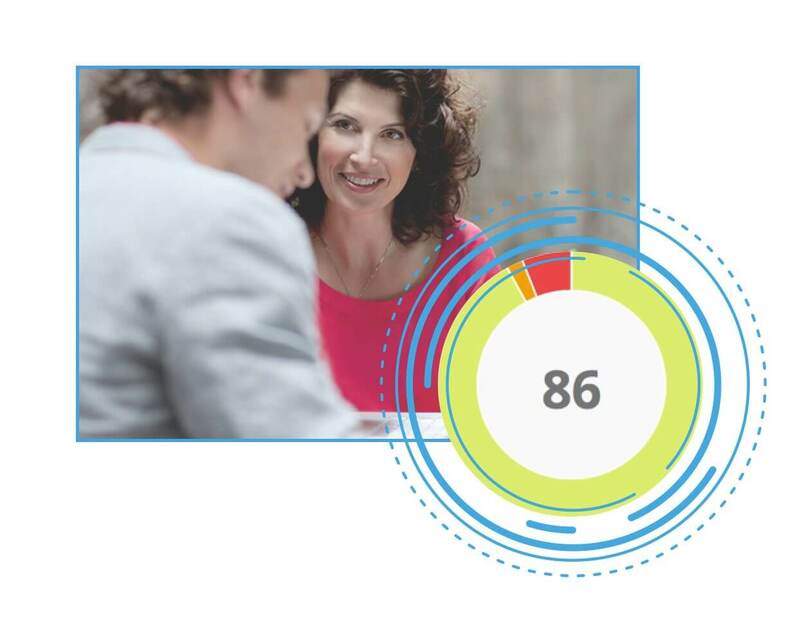 SR Smart Reviews helps you identify the patients most likely to leave you a positive review. So you can text a link to your patient’s phone while they are in your office, and you can get those positive reviews where you need them the most. Since 75 percent of patients say they prefer the smaller clinic feel, it is important that you are able to keep that personal touch. One way to do that is through patient referrals. People trust what their friends say. Solutionreach makes it easy for your patients to pass along your information! 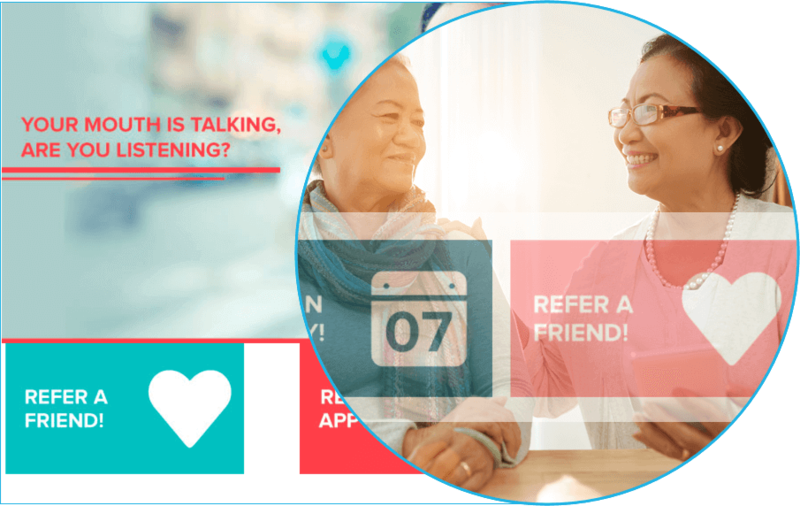 Messaging can include simple Refer-a-Friend buttons and links that encourage your current patients to very quickly forward your information to anyone they choose. What’s better than written reviews? Videos of real, live, super-happy patients! 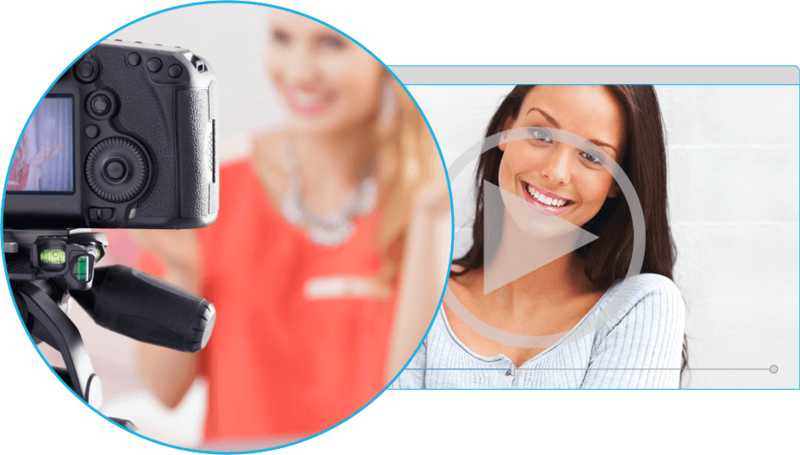 Boost your Google ranking and attract new patients with Solutionreach video, the patient marketing testimonial recording tool that seamlessly posts to your YouTube channel and spreads the Super-Happy Patient Love across the web! Put the magic of technology to work for you! 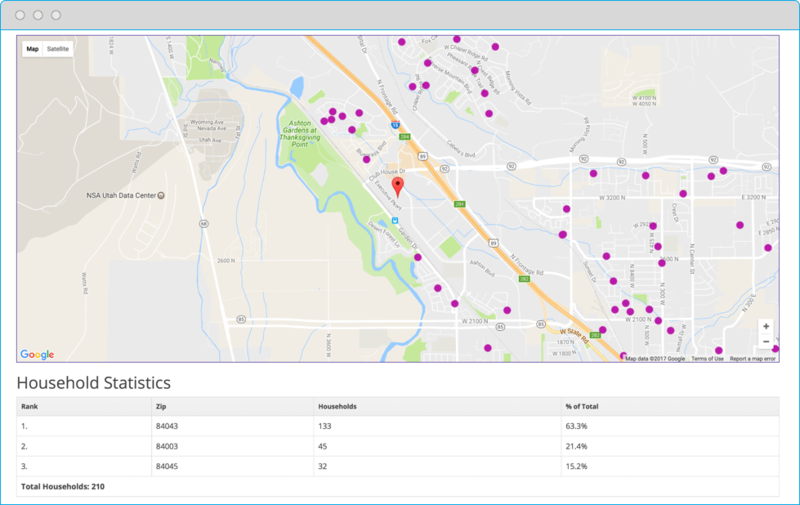 The Patient Mapping tool provides geographic positioning of your practice’s patient database and highlights recently acquired patients, eliminating the guesswork when determining where patients actually come from. Practices can use the advanced filtering capability to see patient inflow by date as well as zip code. With Patient Mapping, your practice will have the hard data it needs to pinpoint growth opportunities and determine medical marketing strategies. 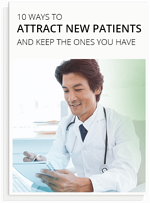 Attract new patients and keep the ones you have. Download our white paper and find out how.